Butter Non and its instant recipe with video! Butter Non is an Indian Main Course Cuisine which is served with various main course dishes instead of chapati or roti. We are providing here recipe and video for Butter Non – an Indian Main Course Cuisine in which you will found step by step method to make tasty delicious Butter Non. 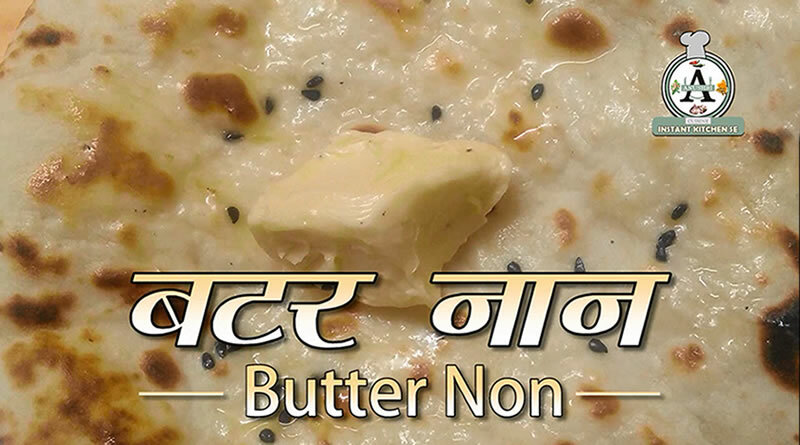 Butter Non is an Indian-Punjabi dish which is a good replacement for Roti or Chapati. Butter Non is more delicious than Chapati and good option for eating with main course dishes. Butter is anti-inflammatory, healthier for heart, brilliant vitamin A source, high in anticancer CLA, energy-boosting, rich in vital cholesterol and source of arachidonic acid etc. Non is made up of maida and it regulates glucose/sugar in your body. it releases sugar into your bloodstream quickly after eating in any form. Because of high Glycemic index (GI) of Maida, it spikes up your sugar levels. It gives us instant energy. 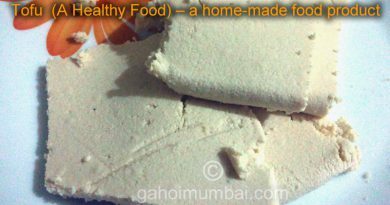 Other ingredients Curd helps in improving digestion, boost immunity and good for teeth and bones. 9. After 1 hours, knead the dough slightly. to remove if any air present in the dough. 10. Now pinch a ball sized dough. 12. 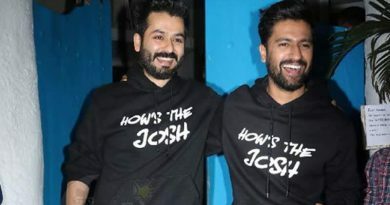 Now put it on hot tawa. 13. Now slowly flip over and put it on hot tawa and slightly press. 14. Now after a minute, flip the tawa upside down and cook naan directly on flame till they turn golden brown. ← Ranveer Singh saw a challenge in playing Khilji! Tofu – a healthy food making recipe and its video! 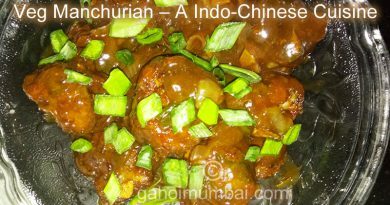 Veg Manchurian – an Indian-Chinese Cuisine and its Recipe! 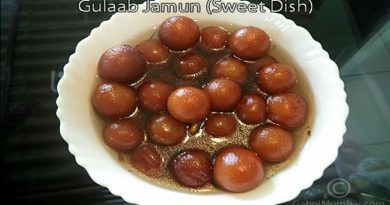 Gulab Jamun And Its Recipe!